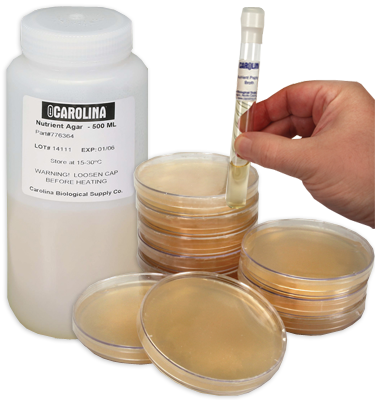 Escherichia coli, K-12 Strain, Living, Tube is rated 3.7 out of 5 by 15. This culture is the K12 strain of Escherichia coli. It is Gram−, motile rods, and cultured in nutrient broth at 37° C in a tube. Each culture contains enough material for a class of 30 students. Culture is guaranteed as to species and purity. Note: Tube contains about 5 mL of liquid bacteria. Rated 4 out of 5 by SamC from Grew very well I got the vial in good shape, left it overnight, and was able to get really great growth. Just using a cotton swab produced fairly small colonies but using an innoculating hook spread out the bacteria and I was able to get almost full coverage. I’d definitely recommend. Rated 4 out of 5 by TinybunnyO from Exactly what we ordered We purchased this for a science fair project. It arrived exactly when expected and was exactly what we ordered. Rated 4 out of 5 by nazalem from Great results ! We used this for a middle school experiment . It was very easy to use and without any mess. It would have been nice to include clear instructions for storage of the product - we refrigerated it briefly by mistake but it still worked out. Rated 5 out of 5 by ScienceGUY22 from Works like a charm The bacteria came in a test tube perfect for science experiments and worked just as advertised. Love it! Rated 5 out of 5 by BigBadWolf from Good Strain of E.coli that grows Bought this product for a very important research paper for my school and everything went smoothy. Received the product in good packaging and nothing was leaking. The bacteria grew successfully and I did not encounter any problems with it. Rated 5 out of 5 by katj429 from Good and Reliable Product Very good product. I have ordered this product multiple times for my research and it has never let me down. Also is shipped very quickly with safe and secure packaging. 10/10 would inoculate again.